In Climax, a group of dancers gathers in an isolated building to rehearse then party. A spiked sangria leads to a night of hell. 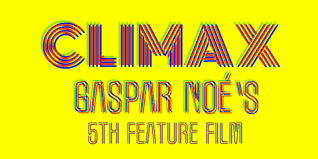 Gaspar Noé took us by surprise when Climax was announced as being finished and ready for Cannes earlier in the year, even before we knew anything about this project, and we entered the screening without having seen as much as a still still or even a list of the cast, just a vague promise of a new nightmare. In Climax, the director takes his time to introduce his ensemble cast via a montage of their audition tapes that opens the film, then giving them some time to breathe as the party begins, with banter and jokes, and it almost feels, for once, that he cares about his characters, or at least treat them like human beings, not just pieces of meat. The first act has some exhilarating dance scenes, with a thumping soundtrack that goes on the entire film, a combination of mainly 90's electro (the film is set in the mid 90's), with a few French 80's disco classics thrown in the mix too (the iconic Born to be Alive makes a wonderful appearance!). Never does it feel like we are watching a cheesy video, more like a very real 90's party. Noé's camera is generous with all his dancers, opting for some static shots, and shunning any artifice to let them express their talents and exuberance. When the nightmare begins, again the director elects to remain realistic: there are no tacky visuals of CGI hallucinations and he only ever depicts their altered state from an external point of view. The build up is very insidious and perfectly handled. From the first moments of discomfort, we slowly feel the paranoia rising as the drug begin to take hold, freely flowing from one character to another as they wander through the corridors to a disorientating effect, lit with primary colours that add a touch of genre flourish. 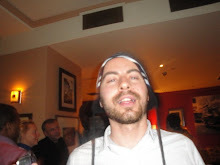 As they realise what has happened to them, accusations of who is responsible for spiking their drinks lead to the first acts of violence, before all hell breaks loose. There is a chilling, almost experimental simplicity to the film's descent in hell, always feeling very realistic, and for a good reason as the film is loosely based on a true story. This appears to be the most accurate depiction of a bad trip, which affects them all in different ways, from those who happily carry on dancing, stuck in their bubble, to those suffering a full blown meltdown, and anything in between. We feel trapped just as the characters are, as the loud music and tension never let go. The violence is nasty, but not overtly graphic, not the kind of OTT gore to have an audience cheer and laugh at at a midnight screening, as such it hits even harder, especially due to its unpredictable nature. Nobody gets their head smashed with a fire extinginsher like in Irresistible, however, an act of self harm proves just as uncomfortable to watch. The final act, a Bosch-like nightmare of screaming and writhing bodies filmed under a harsh red light, is among the most intense set pieces ever committed to the screen. The actors are all professional dancers but non actors, and they add a great physicality to their performance, as well as a touch of cinema vérité in the early scenes. Sofia Boutella leads the cast, a pleasant surprise considering there had been no announcement of her involvement (and IMDB still has not been updated! ), and she proves yet again what a fine actress and performer she is, with some of her scenes echoing Isabelle Adjani's infamous Berlin underground breakdown in Possession. Gaspar Noé's cinema has always been about one thing, how time ruins everything, it is as if he is unable to "mature" (this is meant in a good way) and refuses to accept that nothing lasts forever, that relationships will end, youth will fade, life will end... As such, Climax epitomises his work, it is as if those young people with a seemingly promising future ahead of them see their life flash in front of them in the course of a night, with the violence and decay of old age. Yet the director punctuates his film with a hilariously ambiguous message in the final shot. As for the audience, we are left with a slight guilt, wondering whether we should really have enjoyed watching what we just saw. After the disappointing and frankly dull Love, it seems as if going back to a low budget and filming with a certain urgency (Climax was shot in 14 days, with the cast largely improvising their dialogue and even some of their dance routines) have really paid off for Gaspar Noé, he has found the energy and inspiration of his younger years again. Climax is a return to form for the French/Argentinian provocateur, watch it in the biggest, loudest screen you can find.